‘Good riddance’ to ministers ‘not fit to hold office’ was the overwhelming response to Lynne Brown’s resignation. There was widespread applause from trade union federations, civil society and opposition parties after “complicit” former public enterprises minister Lynne Brown resigned as an MP yesterday. 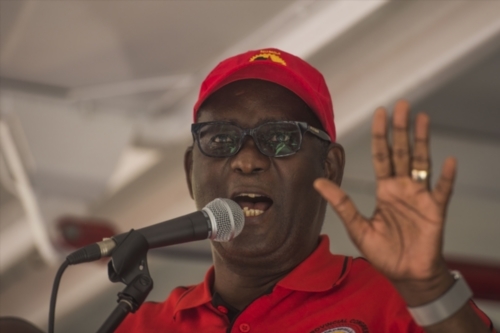 “Hooray and good riddance,” said SA Federation of Trade Unions general secretary Zwelinzima Vavi. “When somebody has messed up it’s sometimes very difficult to accept it. The temptation to play victim is always there,” he added. “She isn’t aware of the damage done to the economy and the number of workers who are at home as a result of all the shenanigans at Eskom. “From electricity shutdowns to extreme tariff increases … to the negative publicity that has resulted in the ratings agencies downgrades. She doesn’t understand that she was complicit. Anti-corruption lobby group the Organisation Undoing Tax Abuse (Outa) said Brown took Eskom to the verge of ruin. “She may say she has done nothing wrong … well, she has done nothing right. “She allowed Eskom to be trashed,” chairperson Wayne Duvenage said. The Economic Freedom Fighters were very short with words. “Good riddance to a liar,” spokesperson Mbuyiseni Ndlozi said. DA shadow minister of public enterprises and MP Natasha Mazzone called for other ministers allegedly involved in state capture to follow her example. “Those in a similar positions should follow suit. They have breached the ethics code and sections of the constitution.